Are you Representing Jesus with Authenticity? Be Known for Something : Discover Your Church Communication Thread / Communication Strategy / Jesus and Sushi. Authentically. The Pastor at the church I was visiting recently was preaching through the book, The Story. The previous week they had ended the narrative of the Old Testament and today they started the New. With a refreshing exhale. For weeks they’ve been pointing toward this person called the Messiah; and then the Pastor “introduced” us to Jesus Christ. 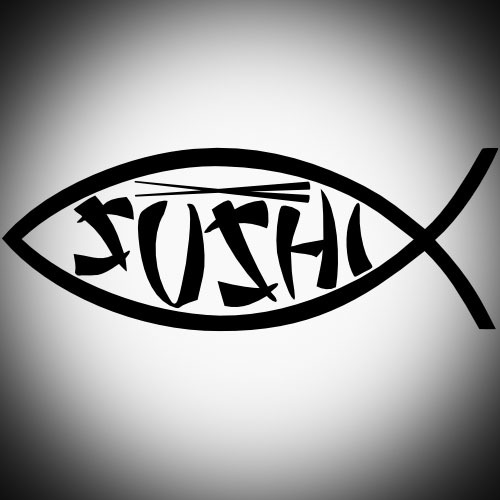 He admitted to the congregation that recently he was “forced” to eat sushi for the 1st time with a group of friends. With fear of gagging on it, he placed it in his mouth and gave the look of “everything is fine”. The goal was to simply “choke it down”. Instead, with every chew, he realized that it was much better than the description of “raw slimy fish” he had often called sushi. Instead, he liked it. And in those few moments he realized that the reputation was wrong. It actually was good. He reminded us that often a person’s reputation doesn’t live up to the actuality. In other words, what they’re Known for is not the truth. Either the truth is a lot better; or a lot worse. Many people think they know Jesus. But they only know a reputation. Our churches need to “reintroduce” people regularly to this One who came to save. And lead us. As more and more people consider themselves “unchurched”; the idea of who Jesus is; has become distorted. If the unchurched attended your service this week (hopefully your goal! ); what impression would they get of Jesus? What would He be Known for? And if they saw the average person within your congregation this week; what would HIS reputation be? We’re called to be authentic believers. Authentic churches. And authentic to the Bible. Let’s become Known for what Jesus is Known for. Authentically.